Is History A Coherent Story? Is history a coherent story? This is not the sort of question that is likely to be either asked or answered in the milieu I normally inhabit. In the universities of Europe and North America (and much of the rest of the world as well), the agenda has veered away asking such big questions. 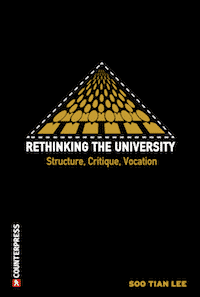 Academic attention is focused on much narrower and more practical concerns in a scenario where both teaching and research are more and more precisely aligned to the demands of the market. Commercialisation is the strongest force shaping the evolution of universities to devastating effect. Major academic disciplines, such as history and philosophy are being increasingly marginalised. In some institutions it has gone as far as abolition. In those institutions, where history and philosophy survive, there is not likely to be much attention given to philosophy of history either. History departments tend toward the small canvas rather than the larger one and historiography is a minority pursuit. The intellectual currents dominating philosophy departments, varieties of neopositivism and postmodernism, tend to repudiate big questions and historical narratives, even that of the history of philosophy. Postmodernism, with its proclamation of the end of grand narratives, has represented a crystallisation of this tendency. However, the prohibition on overarching historical schemes has been a feature of most other philosophical currents of the past century: logical positivism, linguistic analysis, pragmatism, existentialism, phenomenology, poststructuralism. Standing opposed have been the surviving grand narratives of the premodern era, predominantly those of the great world religions, such as christianity and islam. There has also been the formidable grand narrative of the modern era: marxism. These have been, not only under external attack, but subject to tendencies eroding them from within, but they still stand and frame the conceptualisation of historical experience for their adherents. Nevertheless what dominates the world’s universities is a discourse that is moving from querying and undermining large scale historical narratives to proceeding with another agenda while ignoring them. How has this happened? Let me retrace my steps. Let me tell the story of how I have related to the question: Is history a coherent story? Let me unfold a narrative of the rise and fall of grand narratives. I was born into a grand narrative, a spectacular one. No one asked if history was a coherent a story in that world, because it was simply assumed that it was. It was unthinkable that it wasn’t. God created the world. He made us to know, love and serve him in this world and to be happy with him in heaven. Christ died for our sins, even before we had time to commit them. The Catholic Church was the repository of absolute truth. Moreover, we lived in the USA, the greatest country in the history of the world. A good catholic was a good american. Communism was the enemy. Communists rejected God and democracy. 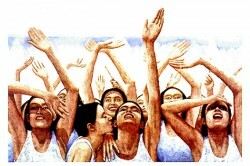 Communists were evil, not only in a political sense, but in a cosmological sense too. They had to be defeated. God was on our side. There was no questioning, no doubt, about any of this in the world in which I grew up. No one I knew thought otherwise. No one I knew raised any question about it. Then it began to unravel. Critical questioning began to undermine it for me. For Goethe, the greatest theme of human history is the conflict of scepticism with faith. It was not only the trajectory of my own intellectual development, but, fortunately for me, it coincided with a surge of critical questioning in the wider culture. One force was Vatican 2 catholicism, which had the effect of relativising what was thought to be absolute. I took this process far further than the church intended, with one doctrine after another falling away, and then I turned to the question of the existence of God. I went through all the arguments and struggled to continue to believe, until it was no longer possible. This brought my whole world view into severe crisis. It was not only the orthodoxies of the church, but the orthodoxies of the state too, that had to questioned. Here my own questioning was boosted by the rise of the new left. The civil rights movement at home and Vietnam war abroad set my loyalties off on another course. A new vocabulary came to our lips when we spoke of the nation now, words we never used when we were growing up, words not spoken in our schools: imperialism, capitalism, racism, sexism, patriarchy. The whole grand narrative within which my life had been lived until then was shattered. What to do? At first this experience was so devastating that I was at a loss. I felt in free fall, deprived of all traditions, devoid of all meaning. Existentialism spoke to this alienation, this facing into the abyss, and kept me going for a time, but I needed something more positive, more systemic. I did not accept the arguments against philosophical systems, against historical schemas. I could not live my life without a picture of the world in which I was living it, without being able to see my story within a larger story. I had to ask, if the world did not come to be in the way that I thought, how did it come to be? If my country was not what I thought it to be, what was it? What alternatives to it existed or could be envisaged? The answers to these questions were not immediately evident, but thankfully I lived in a time and place where others too were searching. I studied philosophy, history, politics, sociology with extraordinary intensity and I participated in the great movements of my time with great passion. It was a time of great ferment, a time when hegemonic narratives were met by counter-narratives. I discovered history from below. ‘Who built Thebes of the 7 gates? asked Bertholt Brecht in his great poem Questions from a worker who reads. I looked again at the history we had been taught and turned it upside down. I discovered the history of class struggle from the experience of the peasantry and proletariat, the history of patriarchy from a point of view of women, the history of colonisation from perspective of the colonised, the history of slavery from the position of slaves, even the history of thanksgiving for the indians and even the turkeys. I looked at the whole history of the world from the point of view of those who labored from below, as opposed to those who ruled from above. I needed a new world view, a framework for putting everything I saw into perspective. I needed a new grand narrative, a plot within which all subplots fell into place. It was not enough for the story to be coherent. It had to be credible too. Once my inherited story came into contact with alternative stories, there was a new process underway. It was so complex. Not only did one coherent grand narrative have to weigh up against other coherent grand narratives, but the question of criteria of credibility came into play. Adding to the complexity were theories that no historical schema could be credible, theories that history was not a coherent story, theories there we had come to the end of grand narratives. It was just ‘one damned thing after another’ with no rhyme or reason. It was ‘a tale told by an idiot signifying nothing’. Paradoxically, these too were grand narratives. I could not accept this. I could not live my life without a sense of the story with which I was living it. But what was the story? How did the world come to be? How had our species appeared on the scene? Why did human societies transform themselves from one era to the next? Were there forces of history underlying all disparate data of times, places and events? Was there a rhythm, a pattern, a plot or was it really just a surreal play of particulars? I was searching for foundations in a milieu hostile to foundationalism. I sought the grounding for a new synthesis amidst multiple pressures against the very idea of a new synthesis. The sheer complexity of contemporary experience has produced a plethora of philosophical movements eschewing in no uncertain terms the very idea of such a synthesis. I read and considered all such arguments and argued vigorously against their exponents, but I did assimilate whatever I believed to be of value in logical positivism, linguistic analysis, pragmatism, phenomenology, postmodernism and refined my own concepts in the process. Nevertheless, I believed that any philosophy lacking the thrust toward totality ultimately became part of the problem rather than its solution. Up to a point, such philosophies highlighted the complexities and difficulties in coming to terms with the intricacies of contemporary experience, but beyond a certain point, they obstructed a deeper coming to terms and inhibited a more daring grasp of its meaning. What did impress me was marxism. What set marxism apart from all other modes of thought was that it is a comprehensive world view grounded in empirical knowledge and socio-historical process. History has a plot. It is a more or less coherent story. All economic policies, political institutions, legal codes, moral norms, sexual roles, aesthetic tastes, thought patterns and even what passes as common sense, are products of a particular pattern of socio-historical development rooted in the transformation of the mode of production. It is not a pre-determined pattern or a closed process. 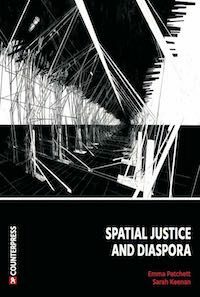 Although there is a determinate pattern of interconnections, the precise shape of socio-historical development is only discernable post factum, for history is an open process, in which there is real adventure, real risk and real surprise, a process in which there are no inevitable victories. History is intelligible, but not predictable. So I had a framework for constructing an alternative story. It meant asking the great questions: How did the world come to be? How did the human species come to be? How did human societies move from primitive formations to the advanced civilisations of today? I looked to contemporary science rather than sacred texts to explain the origins of the universe, the origins of species. Matter evolved into higher and more complex forms, even giving rise to the most profound consciousness. Ideas were products of the socio-historical conditions in which they arose. I had been studying the history of philosophy, but now saw it in a new light. I saw the history of ideas as inextricably linked to the history of politics, economics, culture, science, technology, everything. I conceptualised philosophy as a process within a nexus of interacting processes, shaped in intricate and complex ways by the mode of production. Instead of seeing the history of philosophy as unfolding out of itself in an idealist, internalist process, I saw philosophy as a force within a complex field of forces. 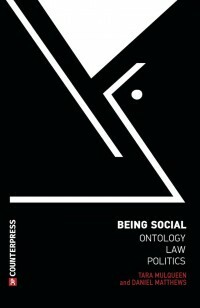 By realising the grounding of consciousness in the material conditions of existence, I conceptualised philosophical ideas in dynamic interaction with economic structures, political institutions, legal codes, moral norms, cultural trends, scientific theories, common sense, all as products of a pattern of historical development shaped by mode of production. I saw history as not essentially made by the decisions as desires of great men but by larger forces pulsing beneath the decisions and desires of all players upon the stage. I saw history not as an arbitrary and fortuitous succession of events – unlike liberal pluralism, neopositivism or postmodernism – but as a more or less coherent story. I refused the prohibition on grand narratives. I resisted the detotalising, fragmenting, pressures of our times. I engaged in a totalisng, but never finally totalised, always open-ended process. I looked at the big picture, at the evolving process. When I came to marxism – and I did so not only in academe but through involvement in the political left – something clicked. People scoff at the idea of having a key to knowledge, but this is how it felt. When I read works such as Engels’ The Origin of the Family, Private Property and the State, I saw a process, a pattern, that opened up a path through everything. For history of philosophy, I was most influenced by Christopher Caudwell’s Studies and Further Studies in a Dying Culture and George Thomson’s The First Philosophers. I was also impressed at how the first generations of marxists – Marx, Engels, Lenin, Bukharin – were so steeped in the history of philosophy and brought it to bear upon the polis. They got me looking at any terrain in way that focuses on the shape of the social order, on the whole field of forces, on the network of interconnections, grounded in the mode of production. This has shaped everything I have written and everything I have taught. In my books I set every discussion of theory, every manifestation of culture, within a socio-historical narrative. For Marxism and the Philosophy of Science: A Critical History I traced the pattern of interconnections of philosophy, politics and science in the history of marxism, focusing on debates both within marxism and between marxism and other intellectual trends of the day. Although it was full of complex theoretical argument, I was pleased when one reviewer said that it read like a novel and another even said that it read like a thriller. When I researched Irish Television Drama: A Society and Its Stories and its sequel The Continuing Story of Irish Television Drama: Tracking the Tiger, I interviewed many who were involved in the history I was writing, who found no pattern in it. Looking to the wider society, I saw the pattern of how the fictional world tracked the rhythms of the factual world. In my teaching of history of ideas, I structured it as a narrative stretching from the pre-socratics to postmodernism, following the standard history of western philosophy in a way that was canonical in structure, if not in interpretation. I stressed the embeddedness of ideas in socio-historical context. Then after sweeping from the earliest to the latest, I went back and asked questions about what or who was included and what or who was excluded. I raised questions about exclusions of class, gender, race and place in history of knowledge. I asked them to take on the perspective of history from below, to ask about who got to be philosophers, about whose views of the world they articulated, about the very process of the production of knowledge in relation to the social division of labour, about the challenges to this process represented by liberation movements, about the backlash against this, about the increasing commodification of knowledge, about the juggernauting commercialisation of our universities. In the book that I am writing now, Navigating the Zeitgeist, I am thinking about the relation of autobiography to history. I have for a long time fused these dimensions in my work, as I am doing here, being more autobiographical in my theoretical writings and more theoretical in my autobiographical writings than is usual. I believe that ideas arise from the flow of experience and it is more honest to explore that openly. I also think that the vividness of individual processing of social experience can be particularly illuminating. We need to bear witness to our ideas. Narratives have particular power. So I built up my sense of history all over again and grounded my work in this process over the decades, but I did so against increasing pressures. The move away from big questions accelerated. For a time it was fierce polemical attack. The air was thick with it, but over time that thinned out. What has replaced it is even more annihilating. No longer were there large scale contending paradigms in every area facing off with each other with great energy and passion. It has just dissipated. It has been disconcerting, because it is not as if anything has been resolved. Instead people learned to live with problems unresolved or unacknowledged or to settle for resolution at a less than fundamental level. The confrontations of world views have given way to low level eclecticism. There is a narrowing of perspective and a retreat from engagement, whether through myopia, ignorance, shallowness, conformity, fear or careerism. So much of what is produced now is so half-baked. Conceptualisation is weak and confused. Contextualisation is thin and random. I look for conceptualisation that is strong and lucid, for contextualisation that is thick and systemic, but that is so rare now. Theory survives in a more and more degraded form. The rejection of grand narratives raises searching questions: What is it about our times that produces such intellectual fragmentation? Why all these pronouncements that there are no laws, that there is no truth, that there is no meaning, that there is no progress? Why are we witnessing what looks like the death of philosophy? Such is the complexity and fragmentation of contemporary life that it seems increasingly impossible to unify experience into a coherent narrative, either on the level of psyche as biography or on the level of society as history. There is something in the very essence of the present social order, which structurally inhibits integrated thinking, which undermines the very foundations of rationality and sanity and morality. There is something at the very core of contemporary experience, which blocks access to totality, which keeps theory flying so far from experience and keeps experience groping so helplessly in the dark. Only by breaking its boundaries, only by penetrating to the very source of the society’s inner tensions and perceiving the mechanism generating the fragmentation, only by naming the system and taking it on, can the way beyond it be discerned. In the contemporary world system, with the forces at work being so faceless and so distant and with the overall process seeming so impenetrable and out of reach, the attempt to understand the world and to get a grip on it has given way to various ideological strategies, from various forms of premodernism to postmodernism, functioning either to evade or to justify the impenetrability and dislocation. I think the answer is in the nature of advanced capitalism. It is a paradox. Never has there been such a totalising systematising force as contemporary global capitalism and yet never has there been such inhibition of systemic thinking. The centralising market decentres the psyche. It organises production and consumption, but disorganises community. Capitalism had need for a grand narrative on its way up, but in its ascendancy it tends to dissipate attention to its nature as a system and its trajectory as a story. There have been conjunctures in the past decade when events provoked eruptions of grand narratives again. This has been most interesting where conflicting narratives have been in collision and most productive where the alternatives are articulated at their best, rising above the clash of caricatures, which often prevailed. One such conjuncture came with the great overturning that came in 1989-1991. The grand narrative of the conflicting grand narratives of the century, capitalism v communism, collapsed. This came as a major challenge to my whole philosophy of history, not my received one, but my freely adopted one. I had come to believe that history was evolving, in however complex a way, from capitalism to socialism. To see societies that I had studied, visited, cited, defended in the throes of a transition from socialism, however imperfectly achieved, to capitalism was a trauma and a challenge. I came and went from west to east and talked and wrote my way through that. The results were published in various newspaper articles and in longer treatises, such as ?Has the red flag fallen? and European socialism: a blind alley or a long and winding road? In contrast to this was a ‘west has won’ triumphalism, which predominated. Indeed it was this glib gloating on the right, sometimes matched by glib responses on the left, that filled the air, but others of us persisted with a more difficult coming to terms. At this time everyone was quoting the Francis Fukuyama text The End of History, even many who hadn’t read either the initial article or the subsequent book. Fukyama, unlike many who glibly quoted him, was not glib. By ‘the end of history’ Fukuyama did not mean what postmodernists or neopositivists meant, nor did he mean what the proverbial man- in-the-street meant. He did not mean that it was no longer possible to tell any sort of coherent story regarding the broad sweep of human events. Quite the opposite. Here was a defense of a philosophy of history that flew in the face of the main currents of thought of the 20th century. He insisted that history is an intelligible and directional process, that there is an underlying connecting thread pulling the most diverse happenings together into a meaningful whole. Against the fashion in the social sciences claiming that every case is different, he maintained that there is a common evolutionary pattern in all societies and that it is progress toward liberal democracy. He declared an end to any credible intellectual debate about the framework within which events unfolded, because ‘liberal democracy’ had won. There were no alternatives left in the field to challenge it on the level of ideas: “we cannot picture to ourselves a world that is essentially different from the present one, and at the same time better”. Interestingly, as time went on his west-has-won triumphalism, which so captured the dominant mood of the time, has been toned down and his conclusions have become much more tentative. He did not find anglo-saxon empiricism to be an adequate theoretical basis for liberalism and counterposed german idealism as an alternative basis. He acknowledged the contradictions of capitalism. He admitted that liberalism destabilised community, eroded social discipline and undermined the work ethic on which capitalist productivity depends. In subsequent books, he has expanded on these themes, articulating the contradictions even more sharply. Liberal democracy, capitalism, was not sufficient. It had to be supplemented by preliberal, precapitalist moral notions and cultural institutions. People had become too aggressive about their rights, too individualist, too selfish. Very few of those who cited Fukyama, either approvingly or disapprovingly, took on the big questions: Is history possible? What moves it along? Where is it going? No matter how many have withdrawn from the terrain of grand narrative and how many forces are ranged against them, philosophies of history will not go away. They keep bubbling up again. Ironically even those who announced the end of philosophies of history have testified in their unintended way to this. Not least among all the paradoxical pretentions of postmodernism is how even the theory of the end of master narratives is cast in the form of a master narrative. Fredric Jameson has perceptively characterised postmodernism as representing the unforeseen return of narrative as the narrative of the end of narrative, as the unforeseen return of history as prognosis of the end of history. Jameson’s book Postmodernism or the Cultural Logic of Late Capitalism appeared around the same time as Fukuyama’s one. It also moved on the terrain of philosophy of history, giving a spirited defense of totalising thinking in mapping the terrain of the times. In the midst of a crisis of historicity, postmodernism, despite itself, could be seen an attempt to think historically in an age that has forgotten how to think historically, to take the temperature of an age without instruments, in an age when we are no longer sure that there is a thing so coherent as an age. It seizes upon the very uncertainty of our age as its first clue, holding on to it as its Ariadne’s thread through what may turn out to be not a labyrinth, but a gulag or perhaps even a shopping mall. All analysis of particular events, he argued, involves a buried or repressed theory of historical periodisation. 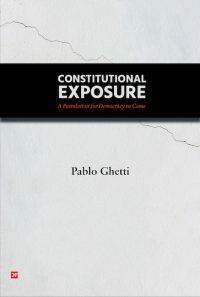 Even the initial decision as to whether there is such a grand scheme, as to whether what one faces is chaos or continuity, is based on an inaugural narrative act that grounds the perception and interpretation of the events to be narrated. He saw postmodernism in terms of mode of production, as the force field, as the logic of late capitalism, experienced as schizophrenia, heterogeneity, randomness, chaos, undecidability. The irony is that underlying all the rhetoric of pluralism and difference and the attacks on history and totality is the fact that capitalism has inaugurated a new kind of total history. There has never been such a systematising and unifying force as late capitalism. There has never been such a global and totalising space as that of the current world system. It is a system so omnipresent as to be invisible. It is a system in which the structural co-ordinates are no longer accessible to immediate lived experience and no longer imaginable or conceptualisable to most people. This makes it all the more difficult, but all the more imperative, to name the system and to engage in the process of cognitive mapping. The waning of a sense of history and the resistance to globalising and totalising concepts is a function of globalising and totalising capitalism. Against this, according to Jameson, a characterisation of the system must be the basis of resistance to its blind fatalities. It is diagnostically better to have a totalising concept than to try to make one’s way without one. 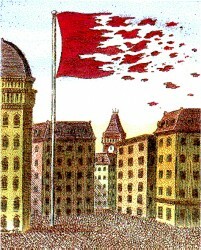 A few years later I was invited to a conference in Paris to celebrate the 150th anniversary of the Communist Manifesto. Reading the Communist Manifesto again, I was struck by the confidence with which it conceptualises history. It pulsates with vitality, vision, verve. In my contribution to this conference, I noted that the positive energy of this bold grand narrative stood in such stark contrast to the negative and jaded mentality of our times, which conceives of grand narratives only to tell us that there can be none. Such talk as there is of history today, I observed, is more likely to be of the end of history. In my paper Grand narratives then and now: Can we still conceptualise history? I went through the three senses in which references to the end of history feature in contemporary debates. The first is apocalyptic prediction: that, through nuclear war or ecological catastrophe, our world will come to an abrupt end and so that will be the conclusion of the human story. The second is postmodernist pronouncement: that there is no such story to tell, nor is there any such thing as a coherent subject able to tell such a story. The third is capitalist triumphalism: that the story has played itself out in the sense that the plot has reached its conclusion and there is no further suspense or striving toward alternative outcomes. I addressed the crisis of historicity in our time in relation to these positions and asked what is was about our age that produces them. I explored the widespread rejection of grand narratives, as well as the persisting grand narratives, implicit and explicit, right and left. I called for resistance to the detotalising pressures of the age and revival of a totalising (as opposed to totalised) philosophy of history. Assuming that we manage to avert the annihilation of our species and our world, where do we stand then? Where are we in our story? Is there really a coherent ‘we’ or a coherent story? Can we resolve the crisis of historicity in our times? There has continued to be a drift on these questions. The drift has been in the direction of even articulating them less and less. A rupture in this drift came on 11 September 2001, giving rise to the ‘war on terror’ and the ‘clash of civilisations’. It was ‘Jihad versus McWorld’. As Akbar Ahmed, a professor of islamic studies in the US, observed: ‘Postmodernism lay buried in the rubble on that fateful day’. Following 9-11, the public discourse was dominated by a spectacular grand narrative, actually a grand narrative of clashing, murderously clashing, grand narratives. The US president pronounced: ‘Either you are with us or you are with the terrorists’. On one side was an odd alliance of a primarily secular neo- conservatism with a fervent christian fundamentalism, uniting in the quest for US ‘full spectrum dominance’, bringing liberal ‘human rights’ imperialism along in the tide too. On the other side, militant islam, gathering to itself, not only right wing fundamentalism, but also impulses that formerly rallied to the left, to arab nationalism and to socialism. However, this left many of the world’s population outside this lineup of forces. 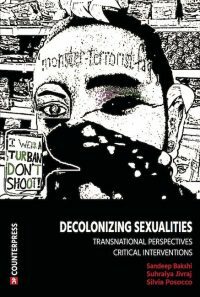 It excluded those of us embracing other grand narratives as well as those who continued to renounce grand narratives. We felt excluded from the discourse and often powerless in the face of overwhelming power. Nevertheless we came out in our millions on to the streets of the world in February 2003 on the eve of the attack on Iraq and said ‘Not in our name’. Many of us kept coming out and saying it over and over, but wars and occupation in Afghanistan and Iraq continued regardless of our opposition. Another crucial conjuncture in the rise and fall of grand narratives came in 2008 with the global economic crisis. The term ‘crisis of capitalism’ kept popping up in the mainstream discourse, even in enclaves of the right and centre, not simply of the left, where you would expect it. The language itself is significant, because capitalism as a system typically functions by not naming itself as a system, but by seeming to be as natural and inevitable as the air we breathe. Moreover, there was resurgence of interest in marxism. Publishers reported a surge in sales of Das Kapital. The Times carried a full-page photo of Marx on its front page saying ‘He’s back. Does the financial crisis prove that Karl Marx was right all along?’ Massive numbers hit on the website featuring David Harvey’s lectures on Capital. This persists, but the capacity of the system to dominate the discourse by various means prevails: by focusing on rotten apples, by mistaking the subplots for the main plot, by presenting itself as inevitable, by undermining any consideration of an alternative. 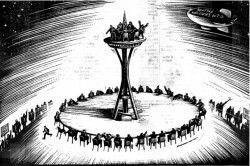 2011 has give rise to a counter-narrative to capitalist hegemony in the movement of the indignant, of the 99% v the 1%, a rough and ready form of class consciousness articulated, not only in ritual speech, but in occupying thousands of global spaces. As a narrative, it is more coherent as conceptualising the present and inciting resistance than in imagining the future, but it is opening new possibilities for that. There is a resurgence of anarchism and marxism, as well as anarcho-marxism, in this scenario. Interacting with new activists, I found a striking lack of historical consciousness and felt it necessary to make the point that 2011 was not year zero. Among others, however, there was a sense of entering into an ongoing story, resulting in a new interest in the history of the left. I wrote my way through this experience in Occupying Dublin: Considerations at the Crossroads. Grand narratives: oppressive or liberating? Now this would be a common position among the metropolitan intelligentsia. I disagree with it, but there is a truth within it that needs to be recognised. There is no doubt that grand narratives have been adopted or imposed in ignorance. For much of the history of the world, world views were institutionalised orthodoxies. There was not only no room for dissent, but a psychological grip that precluded even conceiving of dissent. Even decades past the notorious Inquisition, in the world of my youth, it was impossible to think or act outside the converging orthodoxies of church and state. Every event in the narrative of my life, in the narrative of the unfolding history of our times, was shoehorned into that master narrative. When that master narrative fell, the subordinate narratives had to be re-narrated. History had opened the space for us to do so. It is contested space, full of strife, confusion, compulsion, but also intelligence and hope. In the aftermath of 9-11, even if the weight of the conflicting dominant narratives was sometimes smothering, we did still have room for manoeuvre to put forth our own counter-narratives. Those who argue that grand narratives are oppressive are right where these narratives are imposed by others and deny individuals the possibility of creating of their own meaning, their own stories. However, we are bound to a shared reality and we need to engage in a collective process of narrating our collective story. We need to enter the arena of debating conflicting narratives and attempting to persuade each other to adopt an agreed story. It cannot be imposed. It cannot be decreed by institutional authority. Nevertheless we do need to develop and debate narratives of where we are in our own lives, in our society, in our world. Even those who claim not to do so actually do so to one extent or another. They operate with working assumptions, which amount to stories, about how the world came to be, about how our societies developed, about whether existing regimes are the best we can achieve. So many theories are actually stories. Conflicting theories, such as idealism v materialism, theism v atheism, creationism v evolutionism, voluntarism v determinism, are in essence conflicting stories of how the same phenomena came to be. To those who argue that there are only particular events but no larger story, I argue that they constantly assume elements of a larger story insofar as they make sense, insofar as they are coherent and credible. From there I argue that it better to do consciously, coherently, credibly. Our public discourse is full of unexamined grand narratives. Better to opt for examined ones. It is full of imposed ones. Better to opt for freely chosen ones. The most coherent and credible narratives are not taken off the shelf already formed. They are constantly being forged and re-forged in an open-ended, always to-be-revised process. To me it is an essential process. I cannot see how it is possible to go from one day to the next without a sense of the story in which my days take their shape: the story of my own life within the story of the world in my time within the story of the human species within the story of the universe. Of course, my knowledge of the details of the story become sketchier as the circle widens and the narrative becomes grander. I am not omniscient. I am not an expert in astrophysics or molecular biology or medieval history or contemporary economics. Nevertheless I do have a sense of the origin of the universe, the evolution of species, the transition from feudalism to capitalism, the emerging shape of the globalised crisis-ridden market of our time. With such imperfect knowledge as I have at any given time, I pull together as much as I can know and synthesise it in the best way I can. The next day I may question it or revise it or refine it, but I cannot live without this process. So I get on with it and I believe that many others do so as well, even if only implicitly and incoherently. I would argue that it is better to do it explicitly and coherently, to articulate criteria for doing it, to take responsibility for doing it. It is better to be conscious of living in a grand narrative in the making than to be beholden to a shoddy, half-baked, ill-digested one, for which its adherents refuse to acknowledge or be accountable. Some will shake their heads and see only plurality and miscellaneity and dismiss as delusions of grandeur all striving to discern any underlying pattern in what they regard as random chaos. Nevertheless, I persist, believing that is better to strive for sense than to settle for nonsense. Some quote Zhou Enlai, who, when asked what he thought of the french revolution, said that it was too soon to say. I reject this, although I do see the partial truth in it. The meaning of events is never fixed and our comprehension of the course of history does deepen and expand as we go on with it. But to take this too far, it will be forever too soon and we shall succumb to plodding particularity and eccentric eclecticism. We shall be forever too busy going somewhere to have any notion of where we are going. I say that it is never too soon to say, even if we can say better tomorrow about today than we can say today. We have a better chance of comprehending better tomorrow, if we have striven to comprehend as best we can today. No book, whether a sacred text or a textbook of historical materialism, can do this for us, but many books embodying the wisdom of the past will give us clues as to possible patterns of interconnection and inculcate the habit of looking wider and deeper than is the fashion. By embracing a totalising, but never fully totalised, philosophy of history, I am able to strive for a coherent, comprehensive and credible account of the complexity of contemporary experience. I stress the word ‘strive’. No longer can grand narratives be prescribed from above, as they have been for much of the history of the world. Our stories must be forged from below. It involves discerning the trajectory of history as it comes, looking for a pattern of interconnections, where others see only random chaos, going further back into the past, reaching wider within the present and facing with greater composure into the future. So, for me, history is a coherent story. It is our collective memory, constantly revised and refined, contested and negotiated, messy but meaningful, but utterly essential to our collective life. 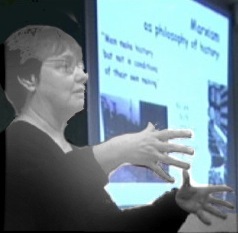 Helena Sheehan is Professor Emerita at Dublin City University. Amongst her many works is Marxism and the Philosophy of Science: A Critical History. I read this article and found it very interesting, thought it might be something for you. The article is called Is History A Coherent Story? 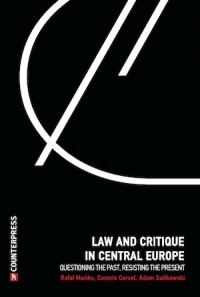 and is located at http://criticallegalthinking.com/2012/02/20/is-history-a-coherent-story/. It made for uneasy reading, on the one hand because of the all too familiar moaning and identification of lack, and on the other — as a result — the constant need to put into functioning a coherent ‘grand narrative’, be it religious, ideological, or personal. It is a cruel and meaningless world out there, and one be better ready to embrace it in all its glory, otherwise despair or worse will always be one’s shadow companion..
forget shadow companions, bud, you got despair seeping out of your words. “cruel and meaningless” with a hint of “glory”- now, there’s a grand, essentializing narrative more bold and monolithic than any other I’ve seen. Now: adorable little kittens, the laughter of a child, beautiful music, easy next-to-free access to information on a historically unparalelled scale at the click of a button— how do these fit in to your narrative? Thanks for this great essay. Constructing, maintaining and constantly adapting a conceptual framework is back-breaking work, but vital for any understanding of the world. Refusing to generalize from knowledge and experience, in as rigourous, consistent and fact-hungry a manner as possible (or claiming that you refuse to), is easy but lazy. Not only is it lazy, it’s irresponsible. Whatever narrative suits the richest and most powerful people in the world will dominate if the best minds just refuse to engage in the debate, all on the grounds of an objection which equates historical materialism with the Spanish Inquisition. With the world economy crumbling before our eyes and the dominant voice calling for more austerity, against the pleadings of rationality and conscience, it’s urgent for us to start raising our voices and telling a story that makes sense and points to a better future. It’s sort of telling that all the arguments for believing in a grand historical narrative here are at bottom moral, rather than addressing the issue of whether there are reasons to think that it actually exists ot not.